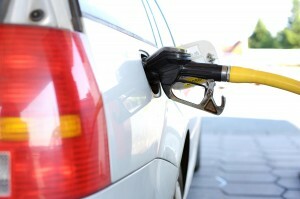 Since gas prices tend to increase during the summer months, chances are you'll be spending more at the pump. To help you save as much as possible, check out these fuel-saving tips. Before you go wasting all your money filling up your fuel tank this summer, why not look for ways to conserve your fuel? By finding ways to make your car more fuel efficient, you can actually save quite a bit at the pump. To help you do exactly this, check out these fuel-saving tips from Advanced Filtration Technologies, Inc. If you haven't performed any maintenance on your car in a very long time, chances are it isn't working as efficiently as it could. Keeping it in good shape isn't hard and can actually have many great benefits for your wallet. To help you start tackling necessary maintenance, check out these tips. Keep your tires properly inflated: Did you know that your tires can affect your car's fuel efficiency? To be more specific, under-inflated tires can increase rolling resistance which can then lead you to waste more fuel. An easy way to avoid wasting fuel because of your tires is to check their air pressure at least once a month. If your tires are low, head over to the nearest gas station and get them to the proper air pressure. Use the right fuel: When you go to the gas station to fill up your tank you're usually presented with at least a couple different fuel options. Instead of opting for the most expensive one simply based on price, be sure you understand what you're getting. Higher price doesn't always mean better quality. In fact, when it comes to gas, the higher price may just mean a higher octane. If your car wasn't made to use this type of fuel, it can negatively affect your fuel economy. To know what fuel to stick to, check the manufacturer's recommendations. Get a synthetic oil change: Getting regular oil changes is a must if you want to keep your car in good shape. Not only will your car perform better, it's more efficient performance can lead to better fuel efficiency. To get the best from your oil, be sure to use a synthetic oil and ensure that you're using the proper grade. A synthetic oil will keep you car better protected and can last longer than conventional oils. Before choosing just any oil, do your research and check your manufacturer's recommendations for the best results. Before heading out on the road this summer, give your car a synthetic oil change. Need help finding the right synthetic oil for your car? Contact Advanced Filtration Technologies, Inc. at (701) 572- 3780 to get great products recommendations, like their AMSOIL Oil Signature Series 0W-20 Synthetic Motor Oil. No one is the perfect driver, so admitting you have some bad driving habits is no big deal. Once you're able to recognize these bad habits you'll be able correct them, helping you conserve fuel better. Combine your trips: If you feel like you're constantly running errands, we have a solution that can help you save time and fuel. Combine all of your errands into one or two trips so that you can take care of everything in a shorter amount of time. Plan ahead and create a route that will allow you to combine all the tips you need to take into one longer trip. This will reduce the number of miles you travel helping you save fuel. Your car will also work more efficiently with a warm engine, helping you save even more. Reduce the weight: If your car seems to always be full of things, you may be wasting tons of fuel due to the extra weight you're lugging around. Make it a habit to clean out your car weekly so that you're sure you're not carrying around tons of things you don't need. Don't forget to also remove that roof rack or bike rack as soon as you no longer need it. Avoid aggressive driving: Finally, avoid aggressive driving like speeding up too fast, coming to abrupt stops, and driving recklessly. This type of driving can result in fuel being consumed much faster than it needs to be. Instead, slow down, ease into stops, and avoid constantly stepping on the brake. Getting ready for a summer road trip? Don't take off before giving your car a synthetic oil change in Williston, ND. For help finding the right oil for the job, contact Advanced Filtration Technologies, Inc. at (701) 572- 3780. You can also shop their full range of products in their online shop.